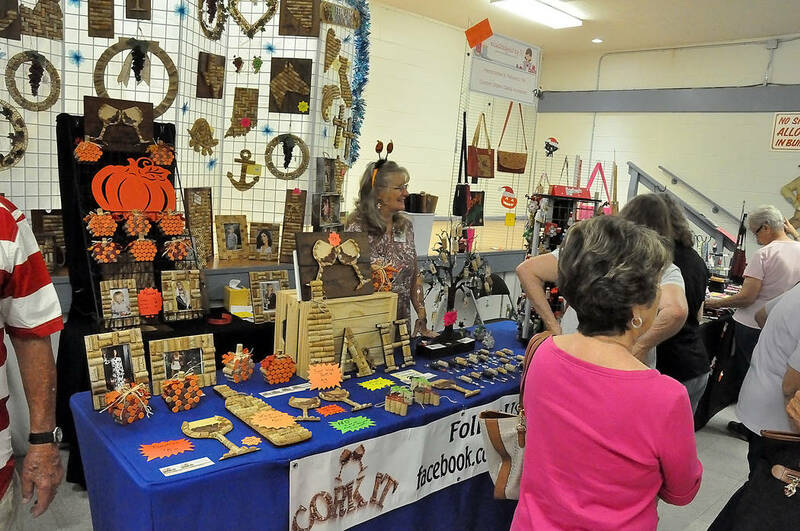 Local artisans gathered at the Bob Ruud Community Center on Sept. 14-15 to show off their wares and sell their items. 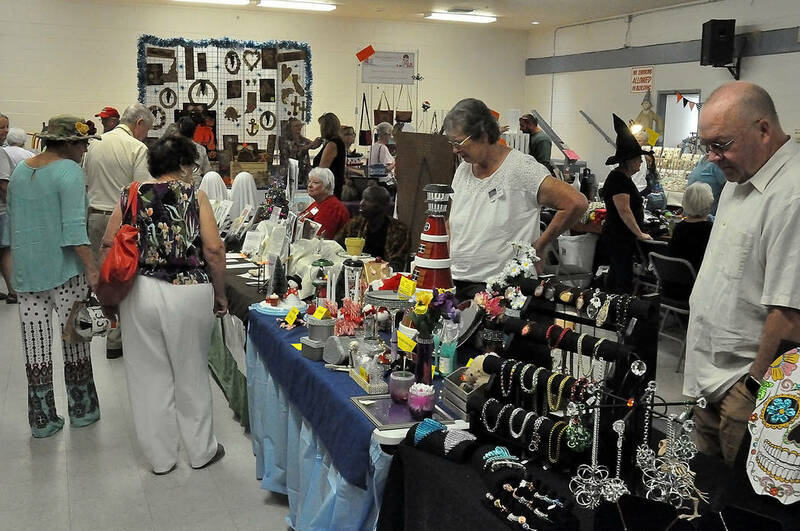 Horace Langford Jr./ Special to the Pahrump Valley Times Local artisans gathered at the Bob Ruud Community Center on on Sept. 14-15 to display their wares at the "Spooky Jingles Art and Craft Show." All items were handcrafted. Horace Langford Jr./ Special to the Pahrump Valley Times Local artisans display their wares at an arts and crafts show on Sept. 15, 2018. Pictured is a booth at the "Spooky Jingles Art and Craft Show" held at the Bob Ruud Community Center. 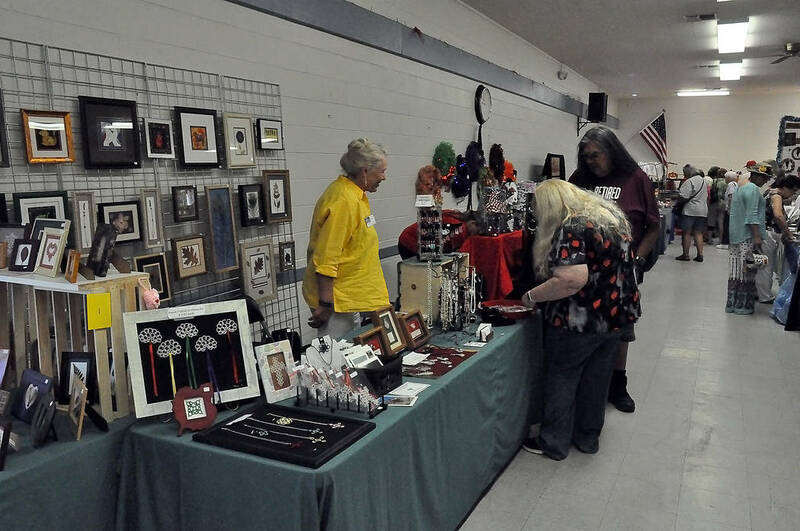 Horace Langford Jr./ Special to the Pahrump Valley Times The "Spooky Jingles Art and Craft Show" brought out several people in town to view works by local artists on Sept. 14-15 at the Bob Ruud Community Center. Items were for sale during the event with prices going down on some items to roughly $5 to others reaching beyond $25. Horace Langford Jr./ Special to the Pahrump Valley Times Local artisans display their wares at an arts and crafts show on Sept. 15, 2018 at the Bob Ruud Community Center. The event lasted two days on Sept. 14-15. 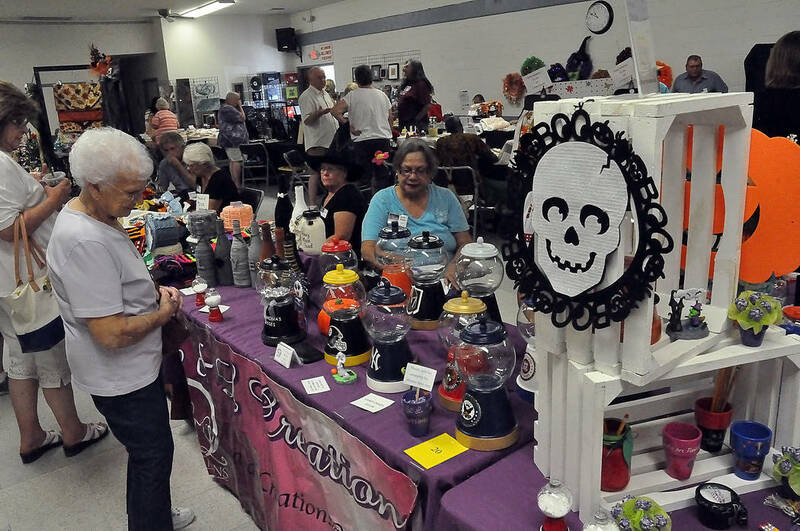 Horace Langford Jr./ Special to the Pahrump Valley Times A two-day long venue, "Spooky Jingles Art and Craft Show," where artists displayed their wares also included several raffle prizes for those visiting. The event was held on Sept. 14-15. 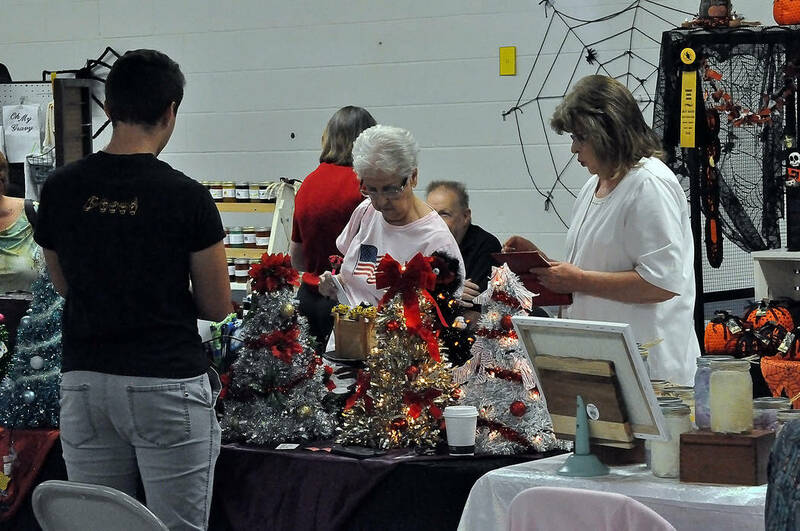 The two-day venue, the “Spooky Jingles Art &Craft Show,” brought out locals and those passing through to the Bob Ruud Community Center at 150 N. Highway 160. All items were handcrafted. The venue also included raffle prizes with items for sale ranging from roughly $5 to more than $25.